GDPR stands for General Data Protection Regulation. It’s a game- changing data privacy law set out by the EU, and enforceable from May 25th, 2018. 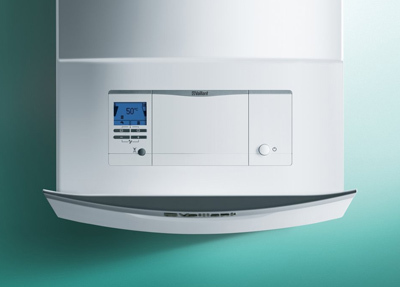 Beyond Heating have a legal obligation to hold data such as contracts, invoices etc. for audit or tax purposes. In the run up to closing a contract and while fulfilling a contract/ongoing sales relationship, Beyond Heating has the right to create a data process for handling your data. We may contact you about the contract and any information we need around this. If a security breach occurs, Beyond Heating have 72 hours to report the data breach to those affected and the ICO. If you request your existing data profile, Beyond Heating will provide you with a fully detailed and free electronic copy of the data we’ve collected about you. The report will also include the various ways we’re using your information. Also known as the right to data deletion, once the original purpose or use of your data has been realised, you have the right to request that we totally erase your personal data. You have the right to your own data. You are able to obtain your data from Beyond Heating and reuse that same data in different environments outside of our company. Beyond Heating have designed our systems with the required security protocols in place to store your data. Log files are maintained and analysed of all requests for files on this website's web servers. Log files do not capture personal information but do capture the user's IP address, which is automatically recognised by our web servers. Aggregated analysis of these log files is used to monitor website usage. These analyses may be made to available to Beyond Heating staff to allow them to measure, for example, overall popularity of the site and typical user paths through the site. Except as stated already, Beyond Heating will make no attempt to identify individual users. You should be aware, however, that access to web pages will generally create log entries in the systems of your ISP or network service provider. These entities may be in a position to identify the client computer equipment used to access a page. Such monitoring would be done by the provider of network services and is beyond the responsibility or control of InterAct. Beyond Heating will make no attempt to track or identify individual users, except where there is a reasonable suspicion that unauthorised access to systems is being attempted. In the case of all users, Beyond Heating reserves the right to attempt to identify and track any individual who is reasonably suspected of trying to gain unauthorised access to computer systems or resources operating as part of Beyond Heating web services. As a condition of use of this site, all users must give permission for Beyond Heating to use its access logs to attempt to track users who are reasonably suspected of gaining, or attempting to gain, unauthorised access. All log file information collected by Beyond Heating are kept secure and no access to raw log files is given to any third party.